A postnup agreement is a legal contract signed after a couple gets into a civil union or marriage. So even if a couple have not signed a prenuptial agreement before their marriage, they can sign a postnuptial one for similar reasons later on. 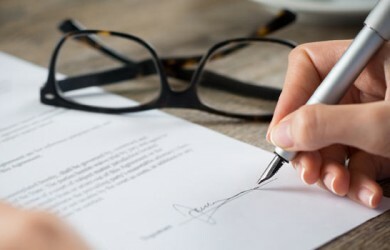 A postnuptial agreement determines how a couple’s financial assets will be divided in case the event of divorce or separation occurs in future.It spells out the division of all property and also includes details about incurring debts, spousal or child support. Additionally, it can even address issues like division of labor at home after the marriage. Mostly, a postnuptial agreement is considered to ensure you as well as your children (mostly likely from previous marriages) will be financially safe and secure. Learn more about post nuptials, how they work and the laws around them.